My slow cooker is probably my most favorite kitchen gadget (after the coffee maker, of course). It makes me so happy to know that I can just dump a bunch of things in it and go about my busy day and come back to a fully cooked, ready to serve, meal. But, so many slow cooker recipes involve cream of something soup and end up like big blobs of mush. So I set out to find some really delicious and unique things I could make in the crock pot. And boy did I find the BEST slow cooker recipes ever! They’re all easy to make (no wacky ingredients) and are so yummy that everyone in your family will love them. Here are my Top Ten Favorite Slow Cooker Recipes. I think you’ll love them all as much as I do! 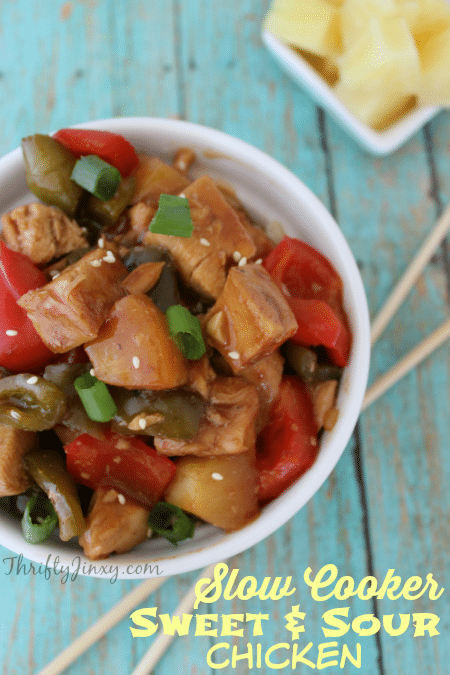 Check out @thequinnmommy Top Ten Favorite Slow Cooker recipes! Perfect! I was just thinking the other day that I needed to come up with more ways to use my crock pot! Pinned! Let me know if try any of them! They are all look delicious! My favo is the last one Lemon Dump Chicken. That cranberry bbq chicken looks so good! Im going to add that one in next week! Oooh, crockpot lasagna! I grew up on all homemade Italian food! It’s my favorite to cook! I’ll have to try this! 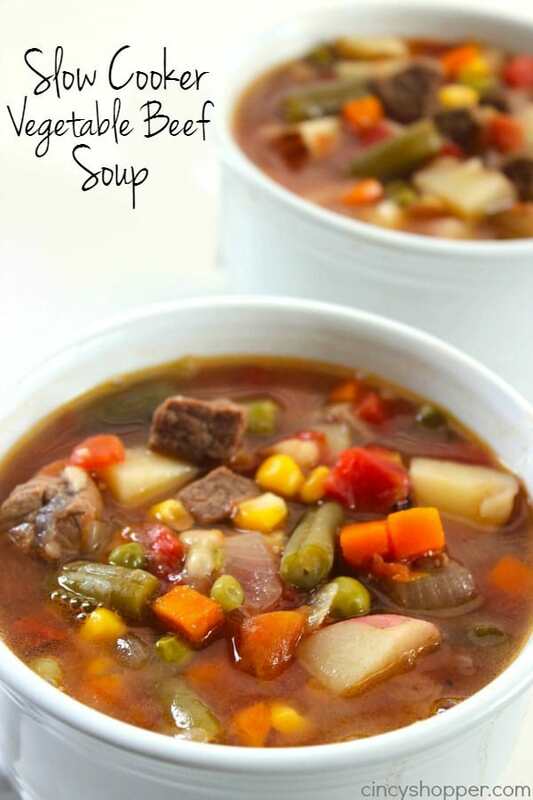 The vegetable beef soup looks good too. I’m excited to check more of these out, I almost always do chili or chicken casserole in the crock pot and I definitely need some new ideas! Some of these sound really interesting! I’m putting together a batch of freezer meals this weekend and I can see some of these as definite contenders. Totally! So may of them would be great freezer meals! Oh goodness I couldn’t decide which of these I want to try first. They all look so delicious. I love using my crock pot to make dinner, makes it so much easier! Totally agree. And it’s great when schedules don’t match up bc everyone gets a hot meal no matter when they’re eating! They all look divine but sadly I am a veggie! Unless the 7-can soup is a veggie option then I am game! What are some veggie friendly recipes for the crockpot (other than a veggie chili)? Totally have the crock pot right now and plan to do some cooking this weekend with it for meal prep. Always wanted to make crock pot lasagna so I might just have to give your recipe a try! These all sound simply amazing, but that buffalo chicken sandwich is just something I have to make! Oh yum! These look delicious, I will definitely try some of them! Hi Krista, nice to meet you. Slow cooker cooking is one of the best kitchen inventions ever! I am not very creative with my crock pot, stews and beans are about it. I need to get more creative. Thanks for sharing on the #HomeMattersParty . I hope you will join us again next week. You are right most slow cooker recipes involve cream of something and I don’t use cream of anything because they usually come in a metal can. I’m looking forward to checking out the recipes you recommended. I think I might try lentil soup (without the sausage) next week. In the past year, I’ve really tried to embrace the crockpot! haha — Growing up, my mom’s crockpot meals were never appealing so I swore it away. My husband convinced me to revisit it and I’m happy to say I’ve had some great meals from ours. Adding a few of these to my list of “to-trys” Thanks! Thanks for the recipies! I don’t have one but I love the idea of a slow cooker! Those look so delicious. I like bringing out the slow cooker this time of year. I love my slow cooker but don’t use it as much as I could/should! I want to compile some vegetarian recipes to prepack & freeze! These all look fantastic! I’m always looking for something to throw in my slow cooker. I’m glad you shared this post. Pinning it and hoping to try these recipes in the next few months. Thanks! I had no idea you could make meatloaf in the crock pot! I’m totally going to be trying that one! Awesome! I love crockpot meals but was getting a little bored with the recipes I had! The BBQ cranberry looks great! I love my slow cooker. These look like some great meal ideas. Oh, my word, I am pinning all of these. I love slow cooker recipes! With two kids two and under, my crock pot is my best appliance friend. Great idea! These look different than my standard crockpot go-tos. Thanks!! aLL THE RECIPES LOOK DELICIOUS. yOU JUST REMINDED ME I HAVE ONE AND NEED TO LOOK FOR IT. Noms, these look amazing! 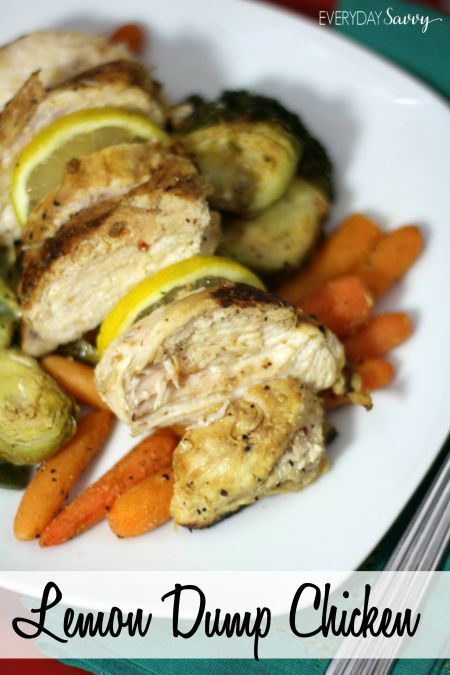 I’m definitely going to try the lemon dump chicken one, lemon and chicken are two of my favorite flavors to mix! I need this list! I’ve got a slow cooker I rarely use because I just don’t know what to make. Thanks! Oh my goodness, those buffalo chicken sandwiches look scrumptious! My whole family would love them! I’ll have to share your blog post with my mother-in-law! She loves her slow cooker!